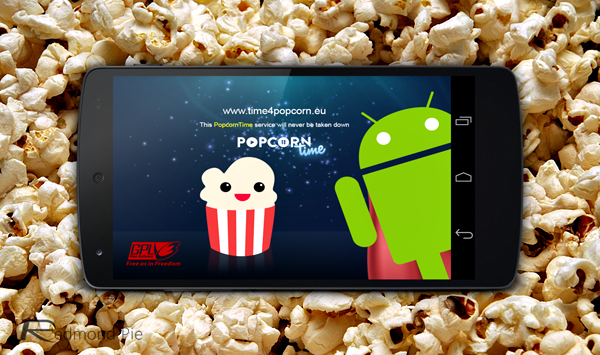 Early on last week, it was confirmed that Popcorn Time, also known as the “Free Netflix” or the “Netflix of Torrents,” would be getting an Android app, and today, the day has finally arrived. The app for the open source project, which looked on the brink of death a couple of months back until it was revived by the file-sharing community, has just hit the Play Store, and we’ve got all of the details after the fold! For movie buffs, the evolution of streaming content over the Internet has made the sourcing and enjoyment of the latest blockbusters a great deal easier. In most films, there are two contrasting sides to a story, though, and while services such as Netflix have grown exponentially during the past few years, so have movie torrent services that facilitate the sharing of these movies for free. A lot of torrent sites – private or otherwise – have faced litigation from bodies such as the Motion Picture Association of America, or MPAA, which has, in turn, seen them shut down. The prospect of a courtroom battle was enough to put the frighteners on the original Popcorn Time team, but just when it looked like the cult service would join the ranks of many torrent sites over the years, it was spared death and instead completely rejuvenated. A forked version of the app was available almost immediately after the leaders of YTS took over, and now, we finally have our Android edition. Like the versions for Windows, Mac and Linux, it’s ram-packed with movies, offering some of the latest blockbusters that even Netflix doesn’t have yet. Once you download and install the app, you can begin streaming movies and TV shows for no fee whatsoever. It still uses the BitTorrent protocol in that it downloads little chunks, or pieces of a file, but does so in a more sequential manner, meaning the pieces representing the part of the torrent you’re about to watch will always have been loaded in advance. We must advise those of you who decide to use it to proceed with caution. After all, the app itself is legally ambiguous, and even though it has hitherto managed to stay under the radar, this big Play Store launch could also garner the attention of the authorities.